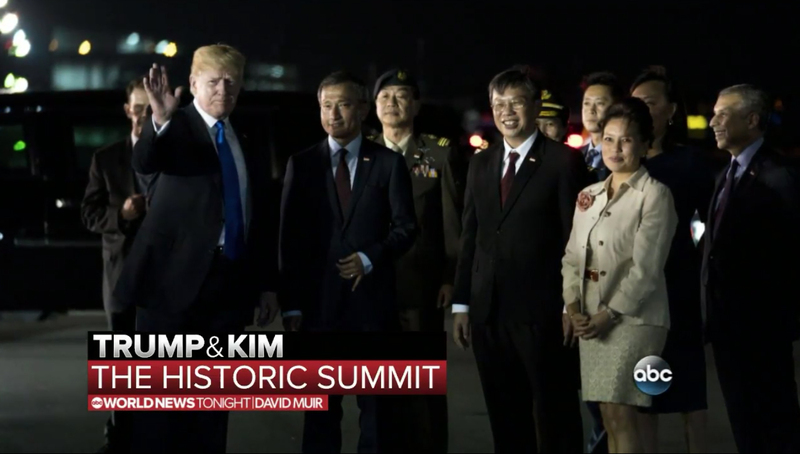 All three of the big three American evening newscasts originated live from Singapore for the North Korea Summit between Donald Trump and Kim Jong Un, with the city’s stunning skyline playing a prominent role in the visuals. 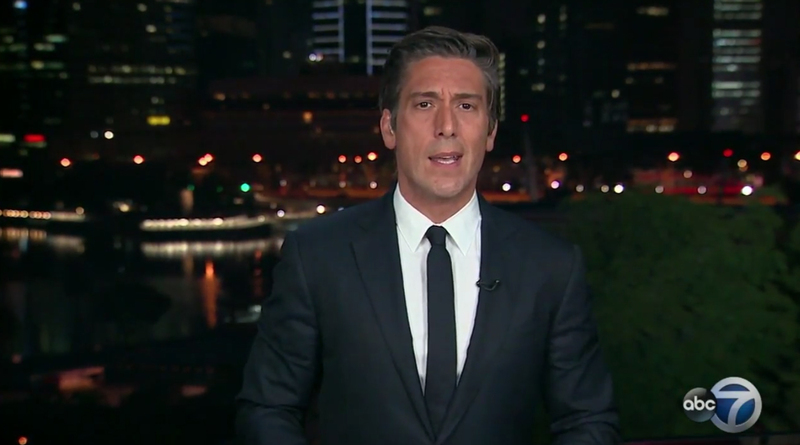 “World News Tonight” anchor David Muir’s live shot location focused more on the city’s waterfront, though a much wider shot of the skyline was included in the show’s open. 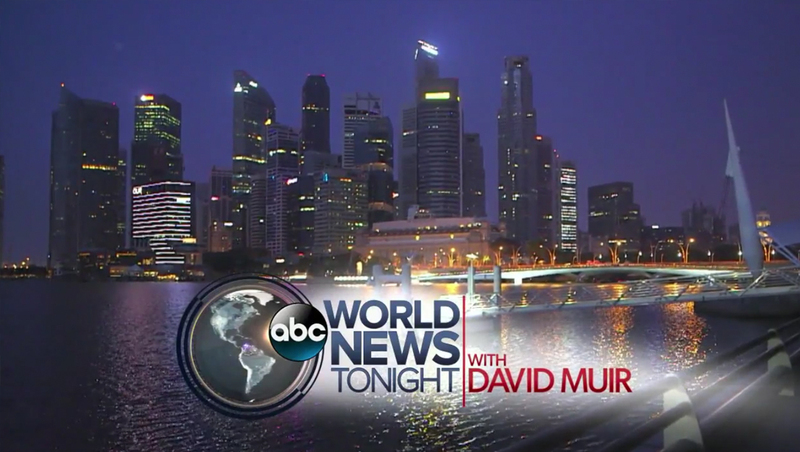 The network kicked off its coverage with a bold red stacked lower third.